For individuals with a non-commerce background, it’s not so easy to identify the differences between bookkeeping and accounting. While you may observe some variation of the ways both accountants and bookkeepers appear related, there are some significant dissimilarities between the two functions and positions. These could have a profound effect on not only the services provided for your business but also the cost that you incur in terms of hiring their services. Bookkeepers are responsible for handling the records of every day’s financial transactions, literally keeping the books. On the other hand, accountants could hold a further consultative role by providing counseling to the administration along with performing audits and handling financial reports. Along with the responsibilities that coincide between accountants and bookkeepers, when it comes to qualification, an accountant usually holds degrees and certifications whereas bookkeepers might hold a degree or diploma or none at all. Once you are indulged in searching for financial assistance, the way you outline the search might be further significant in comparison to the findings of your search. If your business is functioning efficiently, hasa visible course towards the next level, and already has an employee that possesses the knowledge of finance, then only a little assistance would be required in terms of bookkeeping. In such circumstances the person in the role of the bookkeeper would add the most value to the business. The requirement is of a person who could concentrate on doing the math and organizing the volume of receipts into a meaningful idea. A knowledgeable bookkeeper would save both time and money by getting their head swiftly around the business structure. In terms of record keeping, scrutinizing, and balancing, the expertise of an accountant would be wasted. The best usage of an accountant’s services would be in making smart purchase decisions or securing better control over the cash flow in order to make the most out of investments. It is interesting to know that since the advent of bookkeeping and accounting software, a few constituents of the accounting practices have been accumulated with the bookkeeping practices. For example, bookkeeping software is usually capable of producing financial statements. This capability of bookkeeping further diminishes a few customary boundaries between the practices of accounting and bookkeeping. Accounting and bookkeeping might seem similar to an inexperienced individual because both accountants and bookkeepers deal with the financials. To adopt any of the field, one must possess fundamental knowledge of accounting. Within smaller organizations, bookkeepers are often hired to manage more accounting practices rather than just record keeping. In small businesses, bookkeepers also categorize and produce reports with the help of financial transactions. 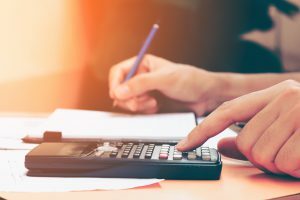 While in most circumstances bookkeepers might not possess the formal qualifications essential to perform such tasks, most of the accounting software these days have made classifying financial transactions convenient by remembering financial transactions and generating computerized reports. Similarly, an accountant also performs as a bookkeeper by recording the financial transactions for an organization. How Do Businesses Figure Out Who They Need? The debate associated with the comparison of a bookkeeper with an accountant is not easy to resolve for the reason that many businesses are not certain about their requirements. There have been major dissimilarities between a bookkeeper and an accountant and, in specific circumstances, differentiating between the two, in terms of specific business functions are concerned, is not as easy as it seems. More frequently than not, the decision relies on various multiple factors which include the industry to which the business is related, the need of the business to maintain large volume of fixed assets, the volume of inventory, and the number of employees. Once a business has figured out its actual requirement, it will realize whether it needs the services of bookkeeper or accountant. Generally bookkeepers are perfect in terms of maintaining expenditures however hiring intermittent assistance from an accountant would assure an analytical overview of the performance of the business. Few organizations learn to manage their finances on their own. Furthermore, few choose to employ a professional so the administration can concentrate over the other functions of the business. No matter what option one selects, making investments in the business financials is helpful in assisting with the growth of the business. Best Accounting Tools: Make Payroll Easy What is Company Culture and How Does it Affect a Working Environment?